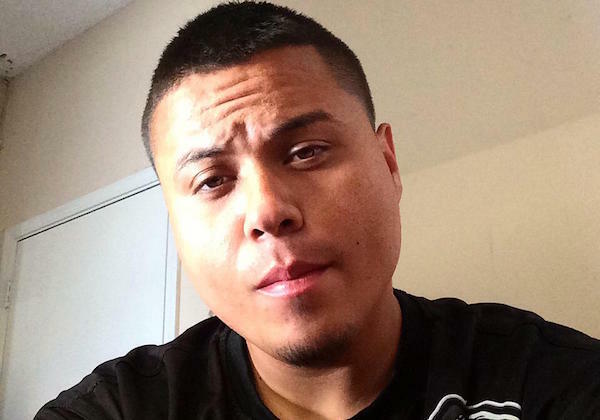 On Saturday afternoon Azusa, CA police were called to respond to the bizarre behavior of Adrian Simental, 24, by family members who were concerned for his well-being. He had injured himself and become bloody during his rampage. Before police could arrive the man became even more agitated, possibly becoming a threat to others, and finally braking into a neighbors home. His family had informed emergency personnel of the updated situation, who arrived while Simenthal was still in the house. While clearing the home, police unironically shot Adrian, who had yelled ‘SHOOT ME!’ at them when they first arrived. He later died in the hospital. No weapons were found at the scene which may have been used by the shooting victim. Family members and others in the community are now wondering why police shot and killed a man who was obviously suffering from some mental aberration at the time. ‘Bizarre behavior’ has recently been at the center of many police killings. The behavior is used to justify these murders under the auspice that it indicates a high degree of possibility that the subject might commit aggressive actions. Yet police shoot them long before any actual aggression that endangers themselves or others has been demonstrated. Police are killing people and validating it with their unrequited suspicions. As a result the mentally ill are often victims of these police killings, as are those who are intoxicated, and may need help. The most desperate people become non-living statistics at the hands of those who were tasked with protecting them. We will update this article if more details become available over the next few days.